Gourmet Pet Treats & Gifts! Relocated February 2019 to Merle Hay Mall below Flix Brewhouse. Just Paws! 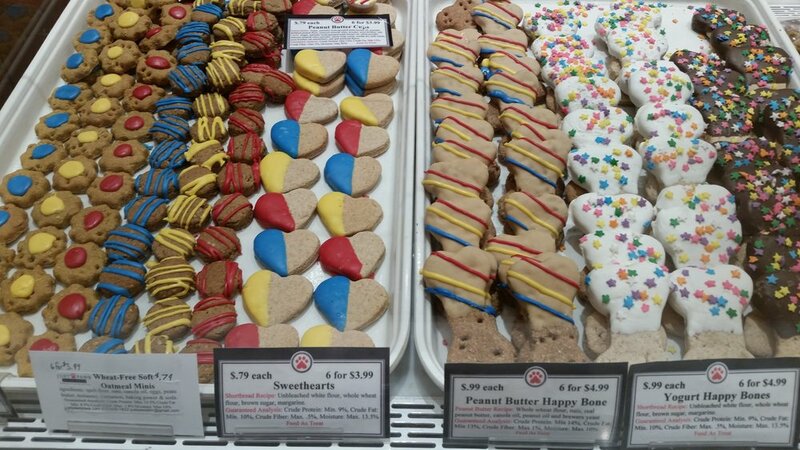 Gourmet & Gifts is the premier destination for high quality pet treats and gifts in central Iowa. We were Just Dogs! Gourmet. Now known as Just Paws! Gourmet & Gifts of Des Moines, Iowa in Merle Hay Mall. We started out in the kiosk on top of the escalators and moved to a Store across the hall at Jordan Creek Mall on June 1st, 2015. Located on the upper level on the corner next to “Starbucks”. We changed our name to include cat toys and treats. Because we like cats too, it’s silly to be Just Dogs. Everyone must stop by and look at all the fun things for cats, dogs (a few ferrets, hamster, guinea pig) and gifts for their owners. If you don’t see your breed just ask! We carry handmade, healthy, 100% human-grade ingredients, all natural dog and cat treats. Our market treats come in all different tasty flavors, shapes and sizes. The Gourmet Treats are decorated with yogurt, peanut butter or carob matching the changing seasons. We also carry Wheat-Free, Grain-Free, and Gluten-Free treats.